The healthcare industry added 22% fewer jobs in February compared to January, marking the second consecutive month in which the sector saw declines in hiring. Healthcare made 18,500 new hires in February, less than the 23,700 jobs gained in January, according to the U.S. Bureau of Labor Statistics' newest figures released Friday. January wasn't strong for healthcare hiring either, and saw a 27.7% dip from the 32,800 jobs added in December. It's typical for the healthcare industry to experience a drop in employment at the start of the new year because people seek less healthcare services, said Richard Gundling, senior vice president at the Healthcare Financial Management Association, in an interview last month with Modern Healthcare. Overall the economy added 313,000 jobs in February, beating out expectations that 200,000 jobs would be added. The employment rate also held steady at 4.1% for the fifth month in a row. 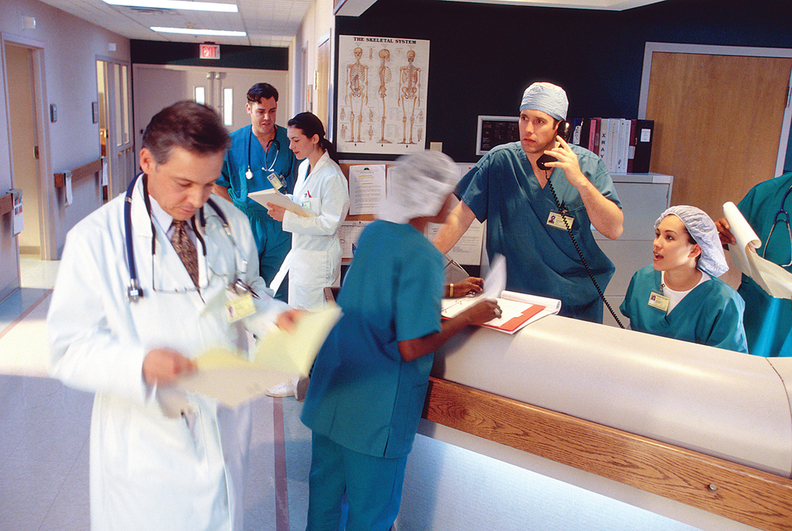 Both hospitals and ambulatory care services saw declines in hiring last month. Hospitals added 9,300 jobs in February, a 7.9% drop from the 10,100 hires made at hospitals in January. Outpatient healthcare services hired 8,1000 new workers last month, a 27% drop from January when 11,100 new jobs were added. In the last 12 months, healthcare has added 290,000 jobs.